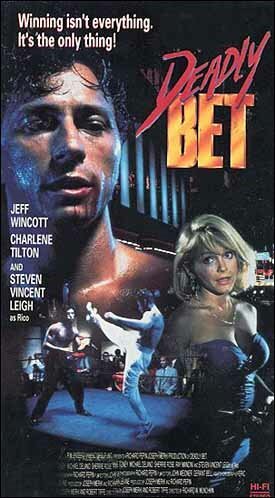 Deadly Bet is another fun action flick from PM. 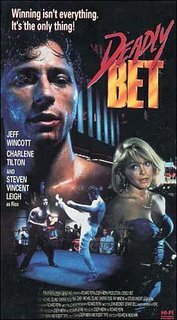 Angelo (Wincott) had it all: money, A woman he loves, and just plain luck. Until his last bet turned deadly. His arch nemesis Rico (Leigh) just took his girl after he drunkenly lost against him. Now Angelo has to fight his way back to the top. The action choreography is solid. You can see all the moves with no "flashy" editing. Jeff Wincott plays a good hero. You can root for him. Leigh is the old- fashioned villain, but he does it well. 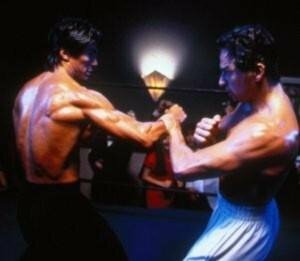 Gary Daniels also makes one of his first appearances as a fighter. Ian Jacklin appears in an early role as well as a bartender. If you liked Fist Of Honor or any PM movie, don't forget to check this one out.